Review & Giveaway: Thomas & Friends: Merry Christmas, Thomas! As you all know by now, my boys are Thomas the Tank Engine's #1 fans! They are always ecstatic when a new Thomas & Friends movie shows up on our doorstep & they were super excited when they found out there was a new Thomas Christmas movie! Thomas & Friends: Merry Christmas, Thomas will not disappoint your little guys! It has four great new Christmas themed episodes that your kiddos will love. Thomas & Friends: Merry Christmas, Thomas is sure to get your family in the Christmas spirit! 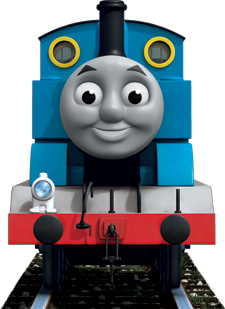 You can purchase your own copy of Thomas & Friends: Merry Christmas, Thomas on Amazon! 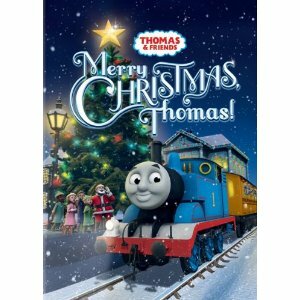 Thanks to HIT Entertainment and Lionsgate, one lucky Giveaways for Mom reader will win a DVD copy of Thomas & Friends: Merry Christmas, Thomas! My boys were SO excited when they heard a new Thomas & Friends movie was coming out! My boys are BIG Thomas & Friends fans, so they were ecstatic when the new movie, Thomas and Friends: Day of the Diesels arrived on our doorstep! They loved Thomas's new friends, Belle & Flynn, and were happy to see all the characters they're used to make an appearance as well! The Steamies and the Diesels face off in this action-packed movie adventure! When a fire breaks out on the Island of Sodor, two new firefighting engines - Flynn and Belle - join Thomas and Percy to save the day! When Thomas starts spending all his time with Sodor’s newest heroes, Percy is left feeling alone. Diesel sees this and invites Percy to the Dieselworks, where Percy is made to feel special by none other than the master of mischief Diesel 10! But Percy doesn’t know that he is part of Diesel 10’s master plan to take over the Sodor Steamworks. Can Percy lead the Steam Team to reclaim the Steamworks or will the Diesels make it their new home? It’s full steam ahead to sure-fire excitement in this all-new movie from Thomas & Friends™! 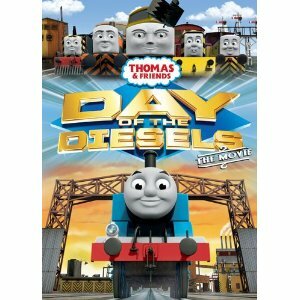 Thomas and Friends: Day of the Diesels can be purchased here! Thomas and Friends: Day of the Diesels! Thanks HIT Entertainment and Lionsgate! With two little boys in the house, we watch a lot of Thomas and Friends! The boys just LOVE Thomas! They really engage with the stories and characters. They were very excited when Thomas and Friends: Thomas In Charge showed up at our house! They loved the chance to see new Thomas and Friends stories. (I was getting a little sick of seeing our same old episodes over & over!) Their favorite episode was "A Blooming Mess"! Thomas and Friends: Thomas In Charge can be purchased here! 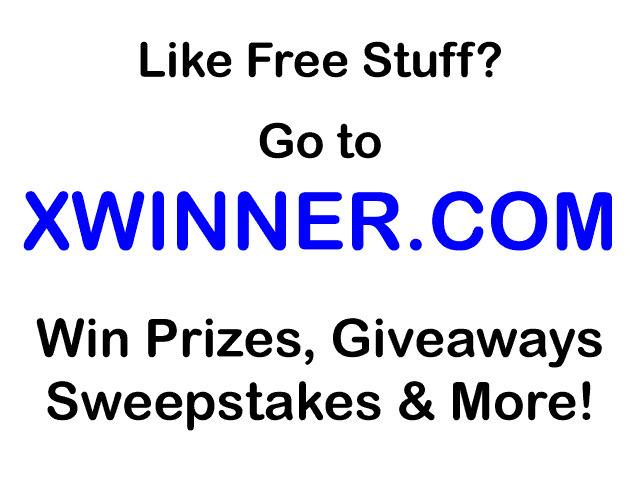 One lucky Giveaways for Mom reader will win a copy of Thomas and Friends: Thomas In Charge! Thanks HIT Entertainment and Lionsgate!